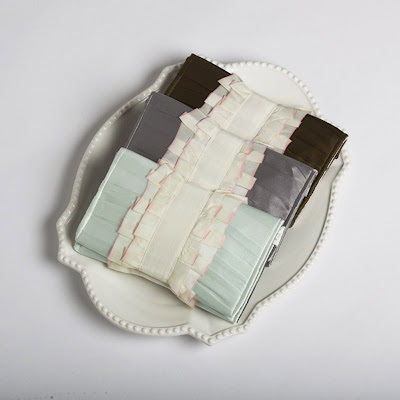 Layer Cake Shop was the first booth that welcomed you to Indie Wed. The Shop is a baking supply company, although they don't make your typical white cupcake liners. I grabbed these for Eloise's baptism. 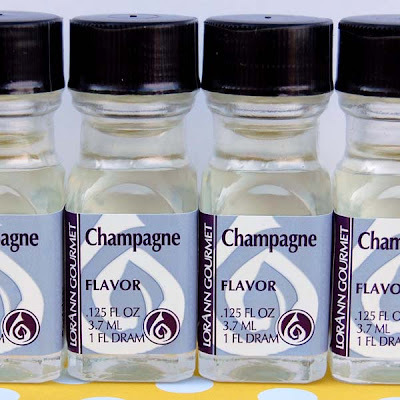 They also make a large selection of flavoring oils in cute little bottles. My mom- a cupcake aficionado- picked up champagne and lemon. She had a hard time choosing! We also went nuts over Nelle Handbags, although the table was so swarmed we could hardly get our hands on the goods! They use gorgeous fabrics and vintage designs to create handbags, hairpieces and other accessories. 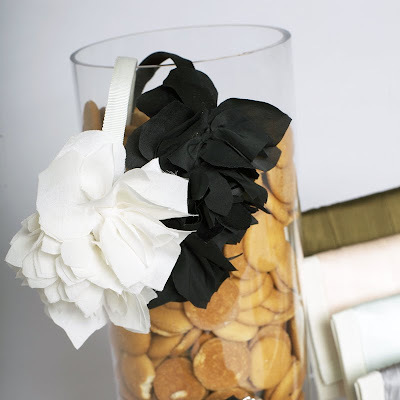 You can chose from a wide selection of colors to match your event. The Tuxedo Clutch first caught our eyes. I am a sucker for a floral hairpiece. Oooh, and Nilla wafers! Don't those images make you want to touch the fabric? So, so lovely and definitely something that would be both wedding and "I feel like looking pretty today" appropriate. They were so sweet at Indie Wed! What a cute post! 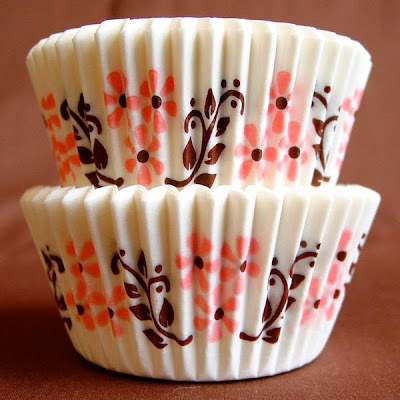 Those are such cute cupcake liners!